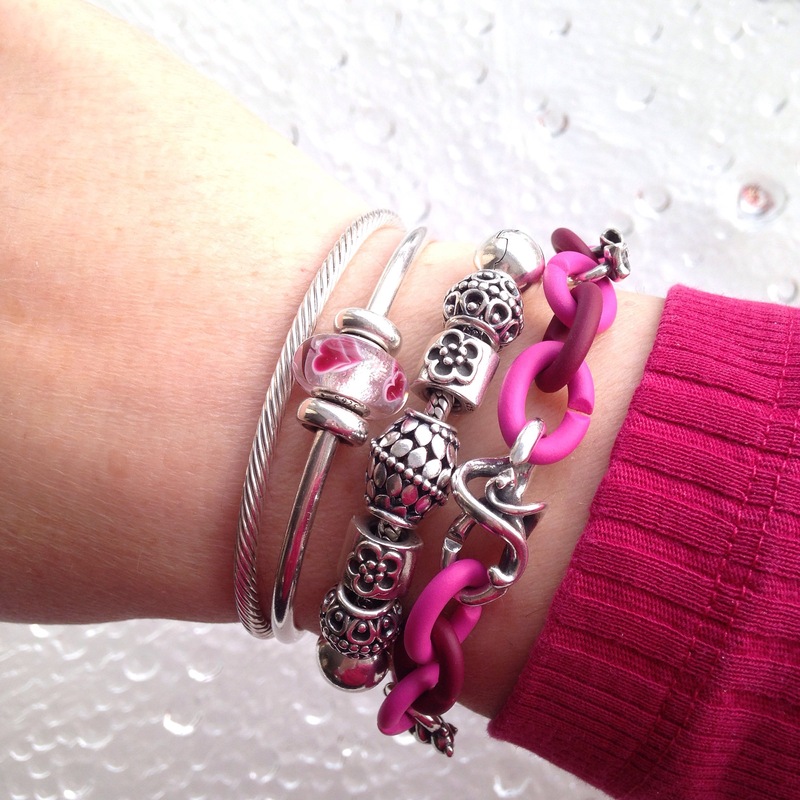 Here’s a bright pink combo for Friday. I combined the pink and Bordeaux X Links. 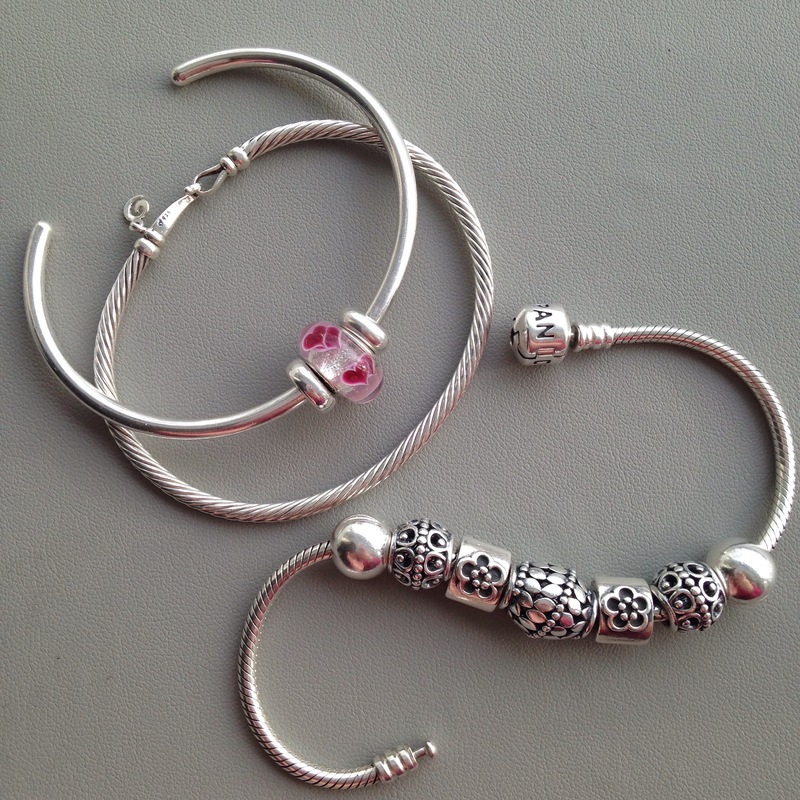 The silver Pandora bracelet I always keep together. 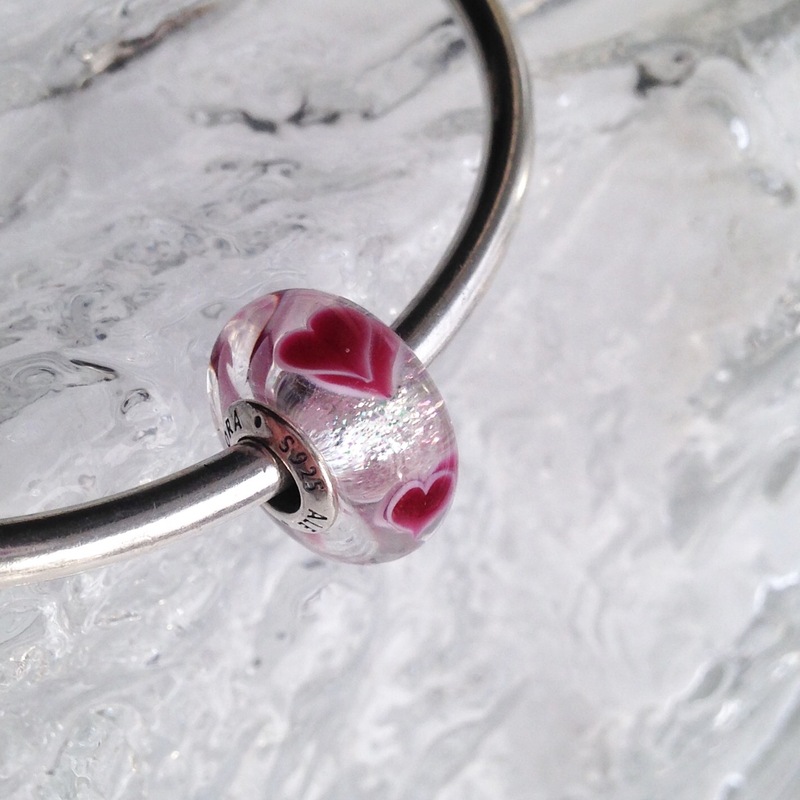 The Pandora Wild Hearts Murano is still quite beautiful to me! 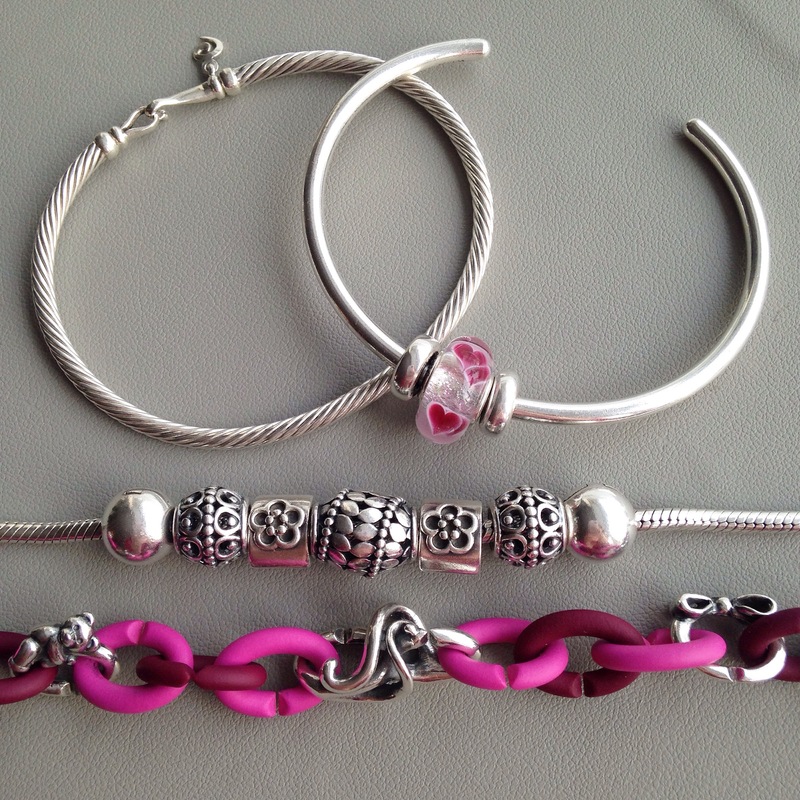 Here is the X Links bracelet with the other colours that I have in the middle. Maybe another day I’ll try the red with the pink, perhaps closer to Valentine’s Day. Here are two more photos of today’s combo. Happy Friday!